Welcome back to the Wonderful World of Pokemon! 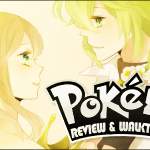 I consider myself to be one of the most knowledgeable Pokemon players on staff, and, since I did the review/walkthrough for Black & White, I figured I would help out anyone who wants to know more about X & Y. Before we get started, it’s important to download the special Torchic via Wifi. This special Torchic is only available until January 15th and is the only way to get the Blazikenite unless you find someone willing to giver theirs up. Also, it’s a free Torchic that will help you beat the game, so grab it! Anyone who has played a Pokemon game should know the drill by now. 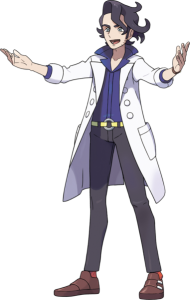 This time, our friendly neighborhood Pokemon Professor is Augustine Sycamore, and he has a few new things to show us for Generation 6. In addition to picking between being a boy or girl, you now have the option of skin and hair color. You can tweak it more later in game, so just pick the one that best suits you for now. We start this journey off the way I like to start most of my days: in bed. Luckily this random bird is here to rudely wake us up. After walking around our pajamas and checking out our rad Wii U, it’s time to look in the mirror and get dressed. Once we head downstairs, Mom tells us that the neighborhood kids are here to welcome us to Vaniville Town. It looks like we’re all meeting up in the next town, so we take a quick walk down Route 1 and we’re there. It’s really weird to see a Route with no tall grass, but there’s a first time for everything. Speaking of new stuff going on, X/Y has given us a whole crew of companions to defeat over the course of the game. My favorite part is that this is the first time these four kids have met you, so they let you choose the nickname you want them to call you. I immediately made them all call me Boss. Abuse it however you like. Carrying on the tradition from Black 2 & White 2, the Professor isn’t giving us our starter and Pokedex, but as long as we get it eventually, I don’t really mind. Our three choices this time are Chespin, Fennekin and Froakie. For my Y run, I went with Fennekin, but for X I grabbed Froakie until I traded the team I wanted to use over. Now that we have our starter, it’s time for a rival battle! This first battle is against Shauna, who picked the Pokemon that is weak against our starter. Before this generation, we would only have a Normal type attack and stat reduction move. However, these three get their elemental attack, which we use to destroy Shauna. It takes the guess work out of maybe winning your first battle, which is pretty nice. Once you get done beating up a little girl, we have to head back home to let our mom know that we’re heading out on the classic journey to become the best, like no one ever was. Even though we’ve just moved in, Mom is totally cool with us heading out on our own. She sure is nice like that. Before we leave, feel free to hop on the Rhyhorn and ride him around your front yard; it’s pretty neat. Before running straight through Aquacorde Town like I did, feel free to grab some Pokeballs and Potions from the 2 stores on the left and right side of town. It took me forever to run into another Pidgey after I got the tutorial Pokeballs. You’re likely to run into something before the catching demonstration, but hopefully you don’t even need the tutorial. Since Serena’s parents are master trainers, she knows a thing or two about catching Pokemon, which is good for people like Shauna who are kinda dumb. There are a few cool things to pick up before you battle the one trainer here and head into the forest: There’s old Pokemon like Pidgey and Zigzagoon , and some new faces like Fletchling, Scatterbug and Bunnelby. Depending on which version you have, you can find either Caterpie or Weedle. Don’t worry if you want both, the other will be available in the forest. Does this forest look familiar to anyone else? Santalune forest is modeled almost exactly after Viridian Forest from Red, Blue and Yellow, and it shares a few things other than just layout. If you look hard enough, you’ll be able to find the opposite bug I mentioned, as well as their cocoon evolutions: Metapod and Kakuna. There’s also Pikachu here if you want to hunt for one, and he’s gotten a little upgrade. Instead of the classic video game cry, Pikachu now uses the anime voice provided by Ikue Ohtani. Santalune Forest also houses the three elemental monkeys that were only found in forests in Generation 5: Pansage, Pansear and Panpour. 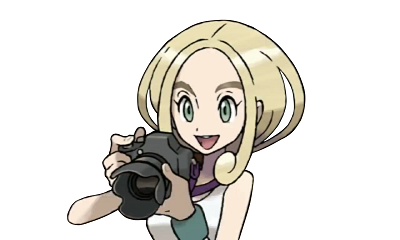 Since there isn’t a Pokemon Center to run back to in Aquacorde Town, Shauna will be following us around and healing our Pokemon whenever we ask. This also means you should be careful about which Pokemon you catch first since it’ll be a while until you can get to a PC. Like the old Viridian Forest, there’s plenty of items on the ground to pick up. 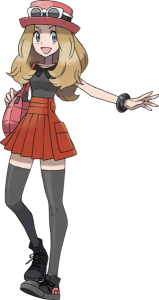 Also, if you’re running low or just want a free Pokeball, Serena will give you one halfway through the forest. Since Shauna is willing to heal your Pokemon, you can stick around and grind for a bit, but it’s not really necessary. Make sure you have her heal you before you leave the forest, though; there’s still a few things to go through before we reach our first Pokemon Center. After we get out of the forest with our little gang of friends, Serena will hand us the Adventure Rules. Basically, these are helpful tips for any newbies that don’t know what they’re doing. I have never looked at them once because I am a seasoned veteran to the franchise. While there are a few trainers here on Route 3, they aren’t really anything special. One has a Pichu, but you already ran into a girl with a Pikachu back in Santalune Forest. The real treasures of Route 3 are the Pokemon that you have to look hard for. In addition to some Pidgey and Pikachu still lying about, you can encounter Dunsparce, Azurill, and Burmy if you look hard enough. I highly recommend grabbing Azurill if you are lacking a Water type Pokemon, since it evolves into Marill and hits pretty hard. Azurill is also one of the old Pokemon to pick up the new Fairy typing, but we can discuss that more later. Also, there are Bidoof here, in case you desperately need a Bidoof. Finally, we’ve made it to our first city. Your first order of business should be to head to the Pokemon Center and take care of a few things. Other than healing your Pokemon, you’ll want to swap out anything you plan to use in your PC with the Caterpie you definitely grabbed because it was the first thing you saw. It’s also a good idea to restock your Potions and Pokeballs if you’re running low. You always want to be catching new Pokemon for two reasons. Firstly, catching Pokemon makes it easier to catch more Pokemon. A feature introduced last generation called Critical Capture will make it possible to catch a Pokemon with one shake of the Pokeball instead of three. You Gotta Catch ’em All anyway, right? In addition, the game now gives you experience just for catching something. Leveling up is easier than ever. As long as you have a Pokemon that is good against Bug types, you’re probably all set to challenge the Gym now. 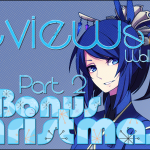 Otherwise, you might want to skip ahead a little bit to the section where I talk about Route 22 for some more training. Before we can get into the Gym, there’s a person in our way. Not only will they let us in the Gym once we beat them, but we also get a nice pair of Roller Skates. Much faster than running, skating uses the circle pad on the 3DS for control, and when you first take off in a new direction you get a little burst of speed. It took me a long time to get used to how smooth skating was, especially at the new speed. If it’s too fast for you, just switch to the D-pad and you’ll pop your skates off and go back to normal walking and running. This is helpful for precision areas, such as what we’ll see coming up on Route 4. Welcome to the Santalune City Gym. Traditionally, a Gym is a building where you go through a puzzle and a bunch of trainers to get to the raid boss that is the Gym Leader. The first one rarely has anything special, but since we’re in 3D now, this Gym is designed to help you get used to moving in eight directions instead of just four. As long as you follow the drops of water on the web, you’ll be able to make it to Viola, the Gym Leader, just fine. The only thing you may need to be cautious about is the fact that Viola starts with a Surskit, which is a Water/Bug type. That may rain all over your Fire-type parade. If you have a Flying type or managed to get a Pikachu, they might do a little better against Surskit, as well as Viola’s other Pokemon, Vivillon. This section is going to be devoted to how cool Vivillon is. First of all, we have the jokes that Vivillon is the devil Pokemon because we finally have number 666. The better reason why you should pay attention to Vivillon is that there are 18 different patterns to its wing coloring. These patterns are linked to the geographic location that your 3DS is set to, and will be linked to the entire Vivillon evolution line. Any Scatterbug, Spewpa or Vivillon that you get has a chance to be different, it all depends on where it came from. I only have about four different patterns, but Megami33 from TeamFourStar has all eighteen. In order to see what region gets which pattern, click on the map below for a larger version and check the recorded locations thus far. 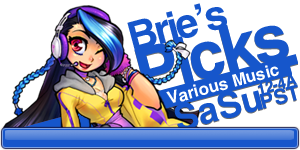 More updates are sure to come, so keep an eye out of there’s a pattern you really want to add to your collection. Beating Viola earns you a fancy new badge, simply called the Bug Badge. You also get your first TM for a new move: Infestation, which is a Bug type version of Wrap, meaning it will do damage over time while preventing your opponent from switching out. I never really used it, but if you find it useful, you can use it as many times as you want. From here we can do a few things, but first you’ll want to head to the north part of town to meet Viola’s sister, who will give you the Exp Share. The Exp Share has changed from its previous incarnation, but in reality it’s just returned to its original model. Instead of being an item your Pokemon hold to only give one extra party member experience, it’s now a key item that you can turn on or off that gives your whole party experience, like it did back in Red, Blue and Yellow. The major difference between now and fifteen years ago is that this version doesn’t take forever to tell you how much experience every single team member received. The only reason it would take a long time is if you gain several levels over the course of one battle. After grabbing the Exp Share, I would head east to Route 22 for a little extra training. If you needed to get some more training in before fighting Viola, Route 22 is a pretty decent place to do it. If you’re really dead set on blast her bugs with fire but didn’t choose Fennekin for your starter or pick up Torchic, this route is home to Litleo, a new Fire/Normal type that is pretty cool. A few other new things we have the chance to run into are Farfetch’d, Psyduck and Riolu. If you’re a big fan of Lucario and are super excited to get Riolu this early, I would suggest catching Riolu for the Pokedex and hold off training it for now. We’ll actually be getting a Lucario for free later on, and this time is better spent training other things. All the way at the end of Route 22 is the entrance to Victory Road, but we won’t be heading there for quite a while. It’s best to just hang around Route 22 until you’re satisfied and then head up to Route 4. There’s plenty to explore here on Route 4. 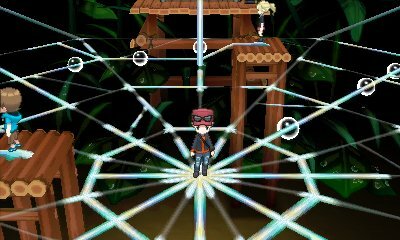 On top of plenty of trainers, you can investigate the hedge mazes to find a few good items. Sometimes it’s easier to use the D-pad to navigate instead of the circle pad. There’s also a bunch of Pokemon that are hard to find. Other than the common Ledyba and Flabébé, you can occasionally find Ralts, Combee, Skitty and Budew. In addition, there are a total of five different colors of Flabébé, but you’ll only be able to find three of them here. Another thing about Flabébé that we’ll learn from Professor Sycamore’s assistants at the end of the route is its typing. These games have added the new Fairy type, which has mixed up the matchups a bit. Fairy is strong against Fighting, Dark and Dragon but not very effective against Fire, Steel and Poison. 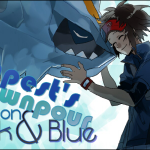 Likewise, Fairies are week to Poison and Steel, but resist Fighting, Bug, and Dark types. They are also immune to Dragon types, so it’s important to learn which old Pokemon can no longer be hurt by your Dragons. 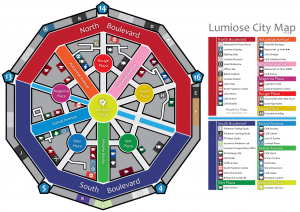 I hope you’re ready to get super lost all the time, because that’s what Lumiose City is all about. I have added a map below for added effect, but basically the city is split into two boulevards: one north and one south. From there, there are five avenues that all meet up in the central plaza with five smaller plazas between each avenue. For now, we’re restricted to just the South Boulevard due to a blackout, but just follow the lab assistants to the Pokemon Lab and you’ll be good. The only thing that might throw you off other than getting hopelessly lost is the constantly changing camera angle, but you get used to it after a while. Professor Sycamore is up on the third floor, so head on up for a little chat. A rather eccentric fellow, he just happened to hear that we were moving into town, so he wanted to give us a Pokemon. Now here’s a twist that’s never been done before: it’s time to BATTLE THE PROFESSOR! He’s got all three of the original starters: Bulbasaur, Charmander and Squirtle. They’re all level ten, so there’s nothing that’s too much to handle. After beating him, you’ll get to pick one for your very own, so just choose your favorite. In addition to getting a fancy Pokemon, you get a Mega Stone which we’ll get to use later. Using this fancy stone, we shall unlock the secrets of this new game mechanic. After we get our fancy new (but old) Pokemon, we head back downstairs to definitely not the villain of this game. He wears a bright red suit, has a spiky hairdo, and talks about how he dreams for the world to be perfect. Nope, no villains here. After leaving, we continue left of the lab to meet Serena at a cafe. Once inside, we find Lysandre the not-villain talking to a girl Named Diantha. Apparently she’s a famous movie star; he’s asking her if she would want to stay young and pretty forever. In the five minutes we’ve known Lysandre, he has proven himself to be the single creepiest Pokemon character ever. After dealing with them and chatting with Serena, we’re all set to move out to the next route. Once we get to Route 5, there are a few things to do. The very first of which is being assaulted by this Lucario. 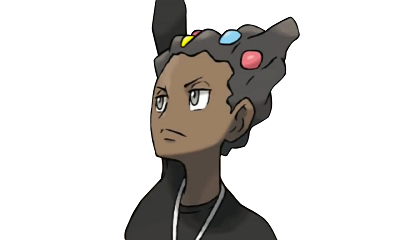 He belongs to the third Gym Leader, Korrina. This is the one I mentioned us getting later on; I guess he thinks we’re pretty awesome. Right off to the side, we can practice our radical skate tricks to grind on rails and get some items. Afterwards, we have our first experience with double battles. Theses two little girls have Plusle and Minun, both of which can be found here on this route. Plusle can be found in X, while Minun is only in Y unless you use a new mechanic we’ll learn in just a second. First we have to battle out buddy Tierno. 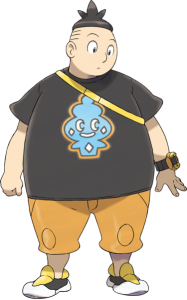 The only thing I really like about Tierno is his tasty-looking shirt, which you can actually get for yourself online. After we beat up his Corphish, Trevor will give us some honey. Honey is used to trigger a new type of battle called horde battles. Certain Pokemon can only be found in hordes, and hordes of either Plusle or Minun will usually show up in the others horde. Horde battles are also the only way to find Scraggy on this route, and he’s a Pokemon worth picking up. Other new things that can be found here are Doduo, Gulpin, Furfrou, Pancham, Skiddo, and Abra. I’ll warn you now, Abra is hard to find and even harder to catch at this point in the game. It’s best to come back for him when you have Quick Balls. Pancham is really cool, and I’m using him for my X run along with Charmander. Camphrier Town doesn’t have a bunch of stuff to offer us other than moving the plot along. Other than the Name Rater in the Pokemon Center to change your Pokemon’s nicknames, you can always check up on Cassius in one of the houses. Unlike the smart looking people who ran the PC system in other games, Cassius is more punk rock. The only real benefit to talking to him is the PC has a name to it. Head north to Shabboneau Castle to try to learn a little more about Mega Evolution. It turns out that the guy here knows nothing about Mega Evolution, but he does have some urgent business to attend to, so let’s head west to Route 7 to see what’s up. For the time being, we can’t access most of Route 7. This is because Snorlax, the roadblock of the Pokemon world, has come down to sleep on this bridge. The only way to wake a Snorlax is with a PokeFlute, but it seems our friend from Shabboneau Castle had to pay off a loan with his. Shauna’s believes that we can just go get it, so we’ll have to head up Route 6 to the Parfum Palace. Before we head up to Parfum Palace, there is one thing we can check out here on Route 7. Head south at the small gate to access the Berry Fields. Once we arrive, we find a man and his granddaughter, who need some help taking care of this field. Just like back in Generation 3, berries can be planted so you can get even more of them. The only place to plant them is right here, but if you’ve been paying attention to the various berry trees, you should have a few already. If you only have one of a certain type of berry left, it’s best to plant it to get more. Different berries have different growth rates, so it’s important to check back often to water your plants. Over time, the plants will sprout weeds or even be attacked by wild Pokemon. To ensure you get the most berries possible, you’ll want to pluck the weeds and chase the bugs away. The Pokemon that show up on your berry trees are all bugs you’ve either seen before or show up right on Route 7, so I won’t show them here. If you want to know more about them, check out Serebii’s Berry Fields page. One last new feature is berry mutation. Some berries can only be obtained when you plant two specific berries next to each other. This is the only way to get the EV reduction berries in case you need to reset your EVs. Those berries are also used to create other competitive berries: the stat boosting berries. Again, it’s best to check a page that explains it better than I can if you’re really interested. I’ve successfully cross-bred every kind of berry, so feel free to ask me if you need a certain one. Route 6 is split into three main sections: a covered path in the middle, and sections of very tall grass on either side. There are trainers on all three paths, as well as Pokemon to be found. The grassy side parts can only be accessed by doubling back once you reach the Parfum Palace, but if you take a look at the bushes on the sides of the covered center part you’ll notice some are taller than others. If you get too close to them, there are two Pokemon that can jump out at you: Venipede and Audino. Since getting experience is so much easier in Kalos than Unova, there’s no need to slaughter hundreds of Audino like in previous games. It also doesn’t help that Audino only shows up in this one spot maybe some of the time. Audino still gives more experience than other Pokemon, so it’s a good idea to catch or defeat one if you see it. If you head back around to the tall grass, you can find Oddish, Sentret, Nincada, and Kecleon. The tall grass also houses the new Pokemon Espurr and Honedge, both of which are pretty cool. Like Pancham and Charmander, Espurr has earned itself a spot on my team. I find Parfum Palace to be an annoying side trip, but there are a few important things we need to do here. Before we can do any of them, we need to pay an entrance fee that, as Shauna agrees with, is stupid. Once we get inside, we find the owner of the Palace complaining about his missing Furfrou. If we hunt his Furfrou down, surely we’ll get the PokeFlute to wake up Snorlax. Before looking for it, take a quick run around the mansion to find the Amulet Coin lying around. This item is super handy for getting extra spending money that you’re going to need if you want to look stylish later. If a Pokemon that’s holding it takes part in a battle, you get double the prize money. If you head out back to the garden, there’s another important thing to be found. HM01, Cut, is in one of the hedge mazes and is needed if you want to get past those big prickly tress that we’ve seen all around. We don’t really need it to get farther in the game at all, but good things are usually behind those trees. After grabbing it, look around for the Furfrou here in the garden. You’ll have to team up with Shauna to trap it, but it’s not the hardest puzzle in the world. After returning it to its master, he’ll invite you to view a fireworks show from the upstairs balcony, even if you’re playing in the middle of the day. Head up to see the fireworks and have an awkward conversation with Shauna about how she totally thinks you’re her boyfriend now. I think the same conversation happens if you play as a girl too, which can be even more awkward. At least we got a PokeFlute out of it. Now that we can wake up Snorlax, it’s time to wake up Snorlax. Just like with every other Snorlax, it will leap right into action and fight you. This is the only chance you’ll have to get a Snorlax, so make sure you catch it if you want one. With Snorlax gone, we can check out the other things this route has to offer. First up is the Day Care Center, where you can leave your Pokemon to gain experience while you run around. The main purpose of the Day Care is breeding, though, so come back when you’re ready for competitive breeding, or later in the game when you get a Ditto. After the Day Care is the Battle Chateau, an exclusive facility where rich people hang out together and battle each other. Apparently Viola is a member of this club and thinks we should be too. I skipped past this on my first play through, but it’s actually a really good place to get tons of money, especially with that Amulet Coin we grabbed. Feel free to use it to build up your levels and wallet at the same time. Before we get to the end of the route, our friends would like to partake in some friendly competition. 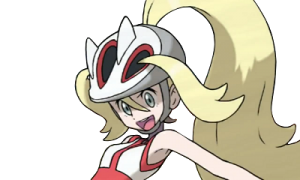 Since we’ve only had one double battle before this, we’ll team up with Serena against Tierno and Trevor. Tierno still only has Corphish, but Trevor has Pikachu and Flabébé. After that there’s not much left to this route. Other than Snorlax, we can find a few new things. Mostly older stuff is lurking around like Smeargle, Volbeat, Illumise, Roselia, Croagunk and Ducklett. 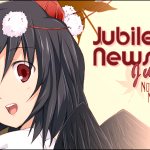 In addition to those and more Flabébé, we run into some version exclusives. People playing X will find Swirlix, while Y players can grab Spritzee. Both are Fairy types, and both evolve while holding a special item. Grab one if you want but there are better Fairy types to use like Ralts or Marill. Additionally, Hoppip can be found in hordes. Connecting Cave is a nice little cave that connects OH GOD THERE ARE ZUBAT IN HERE! Sorry about that. Like I was saying, Connecting Cave links Route 7 to Route 8, as well as Cyllage City. There are two entrances from Route 7, but one of them is blocked off because we can’t use Strength yet. Head back outside for the southern entrance to make progress. Other than the Zubat flying around everywhere, Connecting Cave is home to Whismur and Meditite, who are both decent additions to any team. For my Y version run, I devoted myself to an all-Dragon-type team, so this cave is great for starting that off. I can’t think of any other Pokemon game that has thrown a Dragon at you this early, least of all something like Axew, who evolves into the super strong Haxorus. Other than the four Pokemon, there’s not much else for us here, so move right along. Route 8 is pretty cool. You can actually see Cyllage City from here, and that’s not even our next stop. There’s plenty of little jumps you can practice skate tricks with once you learn some, but there’s also some super cool Pokemon to be found. 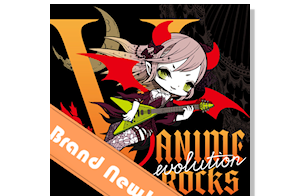 An interesting thing involves some more version exclusives. Zangoose and Seviper can be found in X and Y respectively, but like Plusle and Minun, they can be found in each others hordes. The issue here is the horde mechanic of not being able to catch a Pokemon unless it’s the last one left, and since Zangoose and Seviper are mortal enemies they’ll actually attack the odd one out before fighting you. The most reliable way to get the opposite rival is to catch a second one from your version and put it up for trade in the GTS. Version exclusives are usually very easy to trade there. Route 8 is also the home of another Dragon type powerhouse: Bagon. It takes a while to finally reach Salamence, but the wait is well worth it. For my Y version run, Route 8 has the next member for that team: Inkay. Not only is Inkay a cool little dude, it has a unique method of evolution. Once it hits level 30, you need to be holding your 3DS upside-down for it to evolve. Since it’s a Dark type, it also fulfills the condition my Pancham needs to evolve: have another Dark type in your party once it hits the right level. For you people who have different tastes, there are also Spoink, Absol, Drifloon, and Mienfoo. As for hordes, you can pick up Taillow and Wingull. Unlike most other towns, Ambrette Town has no gate so you just walk right in. There are a few important things to grab here. First, talk to the person outside the large building to get the TM for Rock Smash. Rock Smash is used to break small rocks that contain items, fossils, or even some Pokemon. If you see a small cracked rock lying around, smash it, because only certain things can be found in them. After Rock Smash, it’s helpful to head into the big building. This big building is actually an aquarium, and where there’s an aquarium, there’s fish. In order to have fish, you need a fisherman. Luckily there’s one here, and he’s willing to share the magic of fishing with us. The bad news is that he only has an Old Rod, but the good news is that it catches more than just Magikarp now. If you take it outside to fish, you’ll only find Luvdisc with it, but you can trade one of those for a Steelix once you get to Cyllage City. If you really want a Magikarp to turn into a Gyarados, you’ll need to head back to Route 3 or 22. After getting the Old Rod, head to the Fossil Lab to see if we can learn anything about Mega Evolution here. It seems like the only way to get things done is to head east to Glittering Cave. Route 9 is very rocky and hard to navigate. The only way to make any progress is to hop on a Rhyhorn and smash some rocks. As you make your way slowly and clumsily down the path, you can find three different Pokemon. Hippopotas and Sandile are always cool, but Helioptile are also lurking underfoot. Helioptile has an interesting type combination as an Electric/Normal type, which means that it has two weaknesses instead of the one that either has on its own. If you’re okay with that, then you can pick one up, but Helioptile isn’t really for me. The only trainer to be found here is a Sky Trainer. A Sky Battle can only be done if you have a Pokemon that flies in the air. Fletchling can’t Sky Battle, but its evolutions can. Pidgey is the same way, but Ledyba and Zubat are fine. Other oddballs that can perform are Mantine, Bronzor, Haunter and Gyarados. Anyway, once you’re all set, you can head into the cave. One of the people outside the entrance will heal you up for the battles inside. Glittering Cave is very easy to get lost in. Somewhere inside is the TM for Shadow Claw, which is a very useful move to have. I find the best way to navigate the cave it to always turn to your right. Only turn left or back around when turning right isn’t an option. Scattered throughout the cave are dark spots that contain wild Pokemon. These can range anywhere from a common Machop or Rhyhorn to the less common Cubone or Onix. There are also several rarities to find: Kangaskhan, Solrock, Lunatone, Woobat and Ferroseed. Also among the rare Pokemon to be found is Mawile, another addition to the Fairy type family. While I never paid too much attention to Mawile, I hear it’s gotten quite a power boost with its new type. Once you make it through the maze section of Glittering Cave, there’s a strange character to deal with: A bright red suit worn by a not so bright individual who identifies himself as a member of Team Flare. 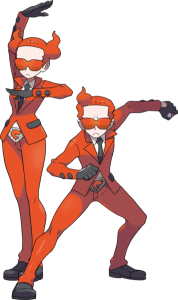 Team Flare is devoted to making the world better place by turning it more… stylish I guess. The main point is that these are the bad guys, and we’ll have to beat them. There’s a few members here in the cave, and they have a decent variety to battle us with. Most evil teams just use Poison or Dark types, and, while Team Flare has those, there’s also Electrike in the mix. It feels like enough of a variety in even just the first encounter to not be boring. After dealing with Team Flare and finding the one scientist who actually knows anything, we’re given a fossil option. The Jaw Fossil will yield the Rock/Dragon Tyrunt, while the Sail Fossil will get you the Rock/Ice Amaura. Obviously I needed Tyrunt for my all-Dragon team, and if you want something that hits like a truck, I suggest you grab him too. Amaura has a neat ability that turns all Normal type attacks to Ice type. Choose whichever you prefer. While still technically Route 8, the beach is a little scarce in terms of wild Pokemon. Other than fishing for Luvdisc, you might be able to smash rocks to find Dwebble and Binacle. There are plenty of trainers here to battle, though, as well as a new toy to play with. One of the people here will give you the Dowsing Machine, which can be used to find hidden items. It’s not as simple to use as it used to be, so I rarely pull it out. It’s best to just battle the people and head up to Cyllage City. Finally, we’re at Cyllage City. Before we head to the Gym, we have a few things to grab. Head into the bike shop for a free bike! The bike is a little faster than the skates, which by this point you should be used to using. The big difference between the bike and the skates is that the bike won’t lose any momentum when you ride through grass, making it my preferred method of speed. You’ll want to go into your items menu and register it for easy access. What I did was set the bike to my up button, and then, as I got each new fishing rod, I set them to left, right and down. After you have the bike, you can head up the cliff path to meet Grant. Grant is the Gym Leader here, as well as a bike race champion. He’ll give you the HM04, which contains Strength. Strength lets you move large boulders, like the one in Connecting Cave that we can access from the entrance at the top of the cliff. I recommend heading in there to get the TM for Aerial Ace, a move that never misses and will come in handy for the next Gym. Once you’re all geared up, we can head in to face Grant. Ever wanted to try rock climbing? Now’s your chance! 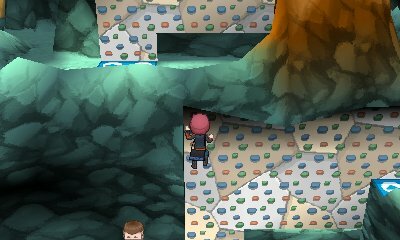 The Cyllage Gym is covered in rock walls that you need to scale in order to reach Grant at the top. Just like the walls, the trainers here all use Rock-type Pokemon, so whatever tricks you pulled on Viola won’t work here unless your Torchic has evolved into Combusken by now, which it probably should have. Rock types aren’t too difficult to handle, but most of them have the annoying Sturdy ability, which prevents them from being taken down with one blow. There are a few dead ends to keep you guessing, but once you reach Grant, he only has Tyrunt and Amaura to deal with. Tyrunt’s Dragon type makes it so it’s not weak to Water or Grass Pokemon. Your best bet is to use a Fighting type. Meditite, Quilladin and Combusken are all sure things here. After you take him out, Grant will give you the Cliff Badge, as well the TM for Rock Tomb. It’s not the strongest attack, but Rock is a very versatile type to attack with, and most Pokemon can learn it. After you’re done, you can heal up and head for Route 10. There’s plenty of things to do on Route 10. Right at the start is a big rock we can push with Strength. Just beyond it is a little puzzle to see how smart you are. Succeed and you get a TM for Thunder Wave. Fail and you’ll have to leave the area to reset the puzzle. Among all the trainers here on Route 10, there are members of Team Flare. Seems some of them are a little sore from the spanking we gave them back in Glittering Cave, and they want a rematch. Take them down as you head for Geosenge Town. While you beat up the bad guys, make sure to look for an Eevee or six. Other than Eevee, we have more exclusives: Houndour for X and Electrike for Y. Everything else here is handy to grab, too. Snubbull, Sigilyph, Emolga, Golett, and Hawlucha. Hawlucha is a new Pokemon that is both Flying and Fighting type. It’s unique in that is has a new move that is also both Flying and Fighting type. Flying Press is the only move that is two types at once, and therefore you need to be careful on what you use it on. There are a few horde Pokemon here too, so you can grab a Yanma or Nosepass if you want one. Another small town, the only real thing to do in Geosenge is to find the one Team Flare Grunt running around the northwest part of town. After that, head toward the eastern exit to meet up with Korrina again. Her Lucario is still all over you and would like to battle. She has two of them, so if you can defeat one, the other should be easy to beat too. The only thing to watch out for is if your defense gets lowered by Metal Sound. 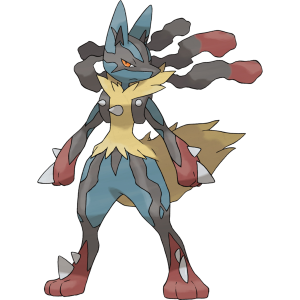 It’s not a bad idea to swap out to restore your stats between Lucario. There are tons of new Pokemon to be found here on Route 11. The version exclusives here are Sawk and Throh, also know as Blue and Red Karate Man. You can also find old favorites like Nidorino, Nidorina, Hariyama, Staravia, Chingling, and Stunky. Like Pikachu, there’s another electric rodent that’s hard to find here: Dedenne. Replacing Emolga as the new Electric rodent, Dedenne is also part Fairy type if you’re collecting them. For hordes, you can find the younger version of things found here like both genders of Nidoran and Starly. There’s a Sky Trainer here to battle, but you should be careful before you accept. Unlike the last Sky Trainer who had a Ledian that’s weak to Flying types, this one has three Pokemon, including an Emolga that will zap you out of the sky. There are no bikes or skates allowed in Reflection Cave, so I hope you like running. Reflection Cave is pretty neat in terms of 3D perspective, since some trainers are facing the wall, but can see you in the mirrors and will still challenge you. One of the more common Pokemon to be found here is Mr. Mime, who is also wearing the Fairy type badge. Mime Jr. can be found in hordes as well if you want them both. Other things lurking in the darkness are Wobbuffet, Sableye, Roggenrola, Solosis and Carbink. Carbink is a new Rock/Fairy Pokemon that I don’t know a bunch about. There are a few other things that we’ve seen before that I won’t bother to mention, which is a tradition I’ll keep up from this point onward. Before you leave, push the boulder with Strength for easy access later. The Shalour Gym is one big roller rink. 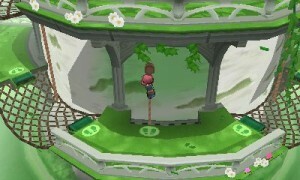 In order to access the center stage where Korrina is, you’ll have to beat all four trainers to raise the grind rails in the center. The Shalour Gym is full of Fighting types, so if you found anything like Espurr or a Flying type along the way, now is the time is bust them out. Once you get to Korrina, she makes a big flashy entrance. This isn’t the first time we’ve battled Korrina, but she’s not using either of her Lucario for some reason. It makes me wonder if Gym Leaders have special teams they use just for challengers. Anyway, she has Mienfoo, Hawlucha, and Machoke. After you beat her, you get the Rumble Badge and a TM for a new move: Power-Up Punch. A useful move, it starts out kinda weak but will increase your attack every time you use it. The Mega Ring isn’t something we get now; we need to head to the top of the Tower of Mastery for that. Head back to the Tower of Mastery and climb up to the top. On the way up, there are several rooms that don’t have many things worth mentioning. In the last room from the top, there’s someone who will give you another TM to add to your collection. The main reason we’re here is get the Mega Ring, and once we do we get to use the Lucario that thinks we’re awesome against the other one Korrina has. The best bet to beat her Lucario is to just use Power-Up Punch. I don’t think it’s possible for her to beat you, but it doesn’t hurt to save first just in case. Once you’re all set, Lucario decides that it wants to come with you. You’re welcome to use it, but I feel like it’s too easy to just take a free Mega Lucario on top of the Blaziken you get. Now that you have the Mega Ring, you can Mega Evolve any Pokemon that you have the Mega Stone for. 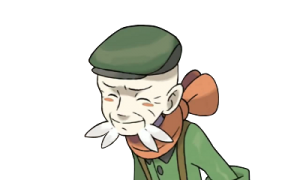 The Blazikenite you should have as well as the one you got from Professor Sycamore with your starter should be good now too. Just give the Pokemon the hold item and hit the Mega Evolution button during battle. With the mystery solved, it’s time to head east for more stuff to do. On your way out, Serena will stop you to give you the next HM: Surf. Not only do you need Surf to progress, it’s also a very powerful move that most Water types should use anyway. If you passed up both Water starters, things like Snorlax and Pangoro, Pancham’s evolution, can learn it too. Let’s pretend for a moment that you don’t have anything that can learn Surf. It’s highly unlikely, but potentially possible. The very nice man here is willing to give you a Lapras as long as you have a free space in your party. We’re just being given Pokemon like candy today. You’ll need to teach something Surf in order to get across to the other side of Route 12. On the way to the next city, we can make a small detour to the Skiddo Ranch. Hop on the back of a Skiddo to jump over small ledges and get a few items. There’s a Whipped Dream that evolves a Swirlix if it’s holding it while traded, as well as a Shiny Stone which evolves Togetic, Roselia, Minccino and Floette. Just before you reach Coumarine City, there’s a split that heads north. While there isn’t anything new in terms of Pokemon to be found there compared to Route 12, there is a man who will give you a Mega Stone for Ampharos. If you want to put it to use, hunt down a horde of Mareep. There are more exclusives to grab and trade for, but they’re a little rare. Pinsir and Heracross are joined by Slowpoke, Exeggcute, Tauros, Miltank, Pachirisu, and Chatot. By this point you have encountered all six Electric type rodent Pokemon, so if you want a special challenge, that’s always an option. Now that you can Surf, you can also find Tentacool and Mantyke. Mantyke is a weird Pokemon that will only evolve if you have a Remoraid in your party, but we can’t fish for a Remoraid until we come back with a Good Rod. The Good Rod is in Coumarine City, though, and once you have it you can fish for Clamperl as well. Once you set foot in Coumarine City, we get a challenge from Serena. Looks like she wants another battle for some reason. She’ll be waiting for us in front of the Gym. In order to reach the Gym, we’ll need to take a monorail to the other half of the city. When you get to the monorail station, Professor Sycamore and Diantha are there to congratulate you on getting your Mega Evolution items. As a reward, we get the HM for Fly. Fly is one of the most useful moves in the game, letting you go back to any town or city you’ve been to before. Just teach it to your bird of choice and you’re good to go, but only after you bet the Coumarine Gym. Other than Good Rod I mentioned earlier, there’s nothing stopping us from heading right up to the Gym and beating Serena again. She has the exact same team as when you beat her in Shalour City, so it should be just as easy. Cyllage Gym had you climbing rocks, but now we have vines to climb up and swing on. Ramos, the Gym Leader, is very proud of his gardening skills, and so are the rest of his Grass-type weilding trainers. Grass is weak to all the same things that Bug is, so whatever tricks you pulled on Viola and the Santalune Gym will work fine here. Once you reach the top of the Gym, Ramos will take you on with his Jumpluff, Gogoat, and Weepinbell. None of them are too tough, so you shouldn’t be in too much trouble, especially with the power of Mega Evolution on your side. Trimming Ramos’ hedges will earn you the Plant Badge and the TM for Grass Knot. Grass Knot is a fairly strong move that does better the heavier your opponent is. Since most things weak to Grass can be on the heavy side, it works pretty well. Before you leave Coumarine City, you’ll receive a Holo Clip from Lysandre. He says that we should use our new power to help him make the world more beautiful and get rid of the old filth. What a nice guy he is. There’s no way he could possibly be the leader of an evil organization. In the gate to Route 13, we meet Sycamore’s assistants again. They have one last Pokedex upgrade for us, as well as a special mission to check out the Power Plant. 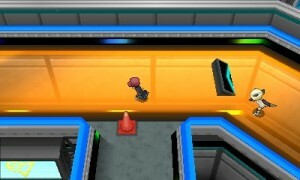 If you recall back from Lumiose City, there’s some kind of blackout going on. 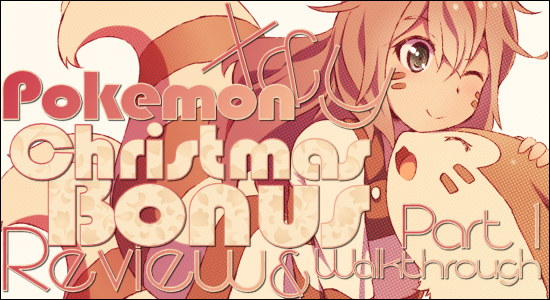 We’ll check it out ourselves, but only in the next half of Christmas’ X and Y Adventure! I really like what X and Y add to the table. Having played through already, I can see the changes they’ve added for the competitive players and casual players and it’s really handy. My only real complaint is how long it takes to get between the first and second Gyms. From this point on though, everything will flow much better in terms of story, so make sure you check out the thrilling conclusion next week!